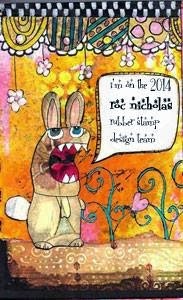 ...is the title of my April submission as part of the Roc Nicholas Rubber Stamp Design Team. I created a 4x6 postcard that features two Roc Nicholas Rubber Stamps: Scooter Girl and Scalloped Lace Border. 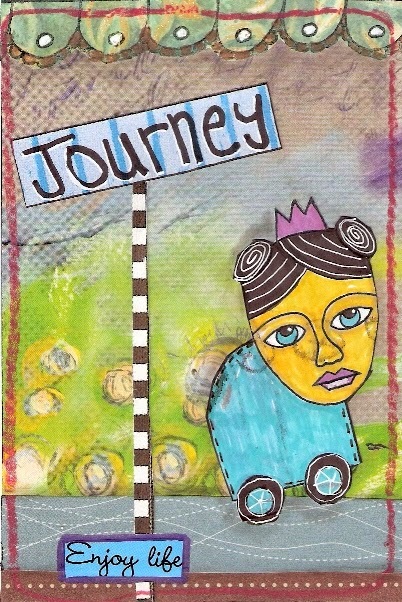 This will also be my submission for a postcard exchange happening on the Roc Nicholas Rubber Stamp facebook group. If you're interested in playing along, check it out! I am always surprised how different we can make the same images look ! I love this one ! It's a great postcard !